SCVHistory.com LW2018 | Mojave Desert | Mule Team Hauling Borax. 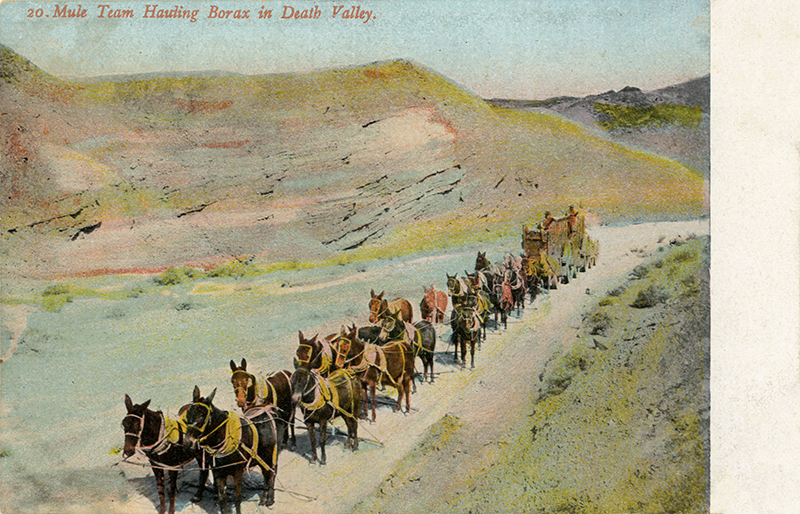 Souvenir postcard: "Mule Team Hauling Borax in Death Valley." Published by Rosin & Company of Philadelphia and New York, printed in Germany, divided back, postally unused. 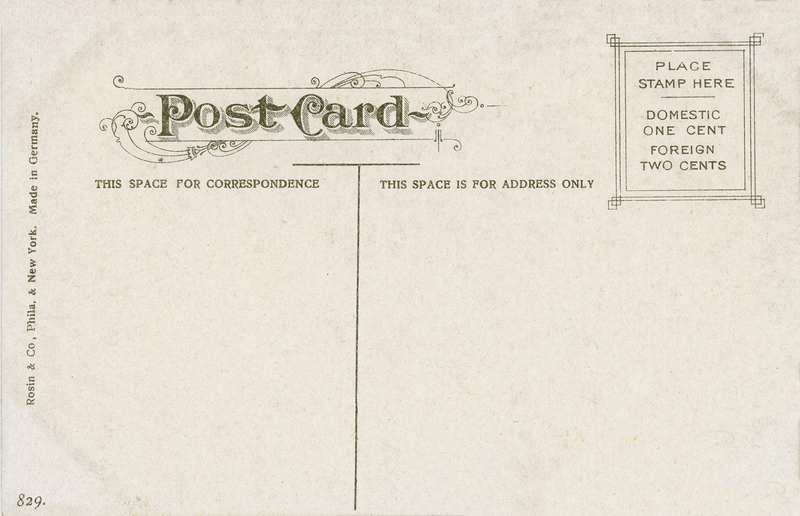 We've seen a used example canceled in 1908, which is when this company is known to have published other postcards with the space on the front for additional writing. Story of the Pacific Coast Borax Company (later US Borax). Story of the Sterling Borax Company. LW2018: 9600 dpi jpeg from original postcard purchased 2018 by Leon Worden.